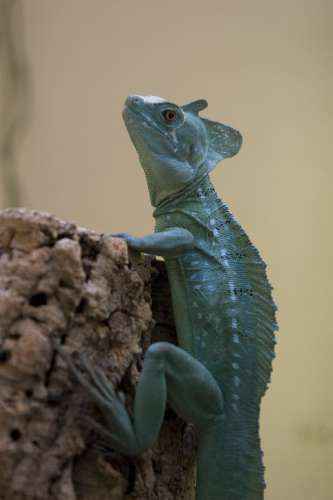 In deep south Mexico, and further south into Central and South America (with some appearances in Florida, USA), you might come across the basilisk lizard. It's been a bad boy as far as Darwinists are concerned, since not only is there no fossil evidence for its evolution, but the oldest fossil shows that it's virtually unchanged over alleged millions of years. They discovered that moving across water requires unique features. This lizard doesn't really crawl across water—it motors. To read the full article in context, click on "Jesus Lizard Runs on Water, Tramples Evolution". Also, see the short video below of the basilisk running in slow motion (except for one short bit where it shows it can run five feet per second on water), with cute music.